-Preheat oven to 425 degrees F.
-Half (vertically) and seed butternut squash. Lightly coat with olive oil and place on parchment lined pan, faced down. Roast for 45-50 minutes. Allow to cool. -In a medium saucepan, warm 1 Tbs of oilive oil over medium heat. Add in shallot and salt. Allow shallots to turn golden on the edges (about 3-4 minutes), stirring frequently. -Add garlic and stir for about 1 minute. 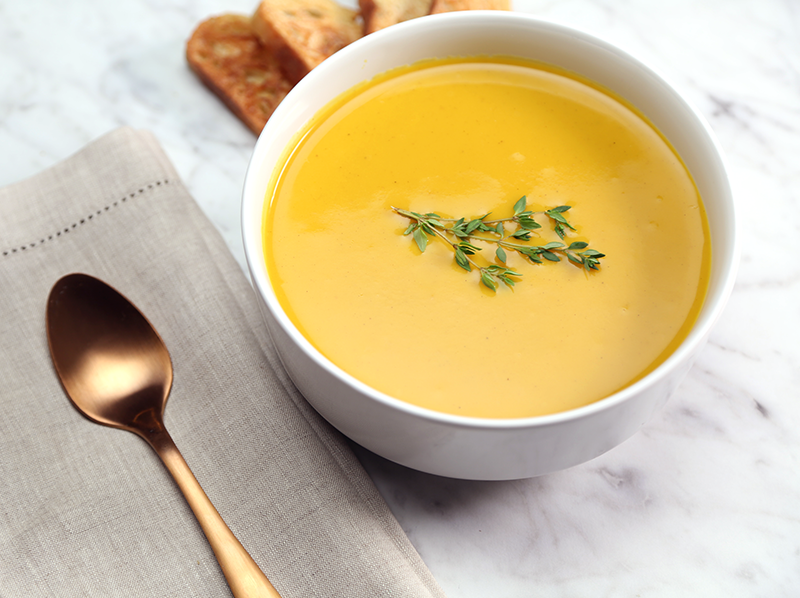 -Combine squash, nutmeg, shallot, garlic, vegetable broth, Isopure Unflavored protein powder and pepper to taste in blender. -Pour mixture in large soup pot. Bring to boil then allow to simmer. -Garnish with herbs if desired and serve. This recipe makes 4 servings. 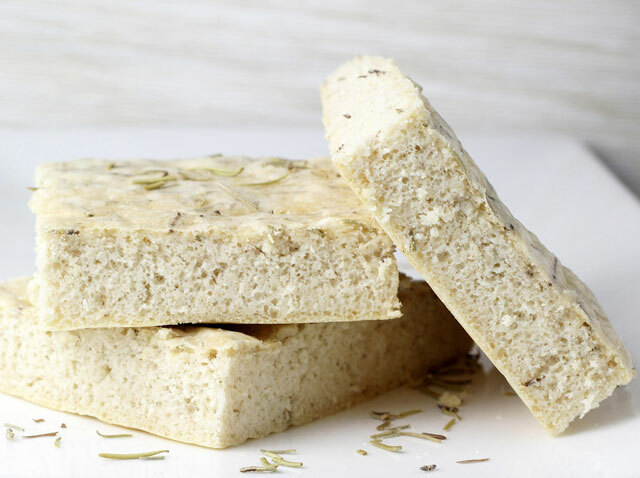 If you like rosemary, this Rosemary Protein Focaccia Bread will be your new favorite. Give it a try! 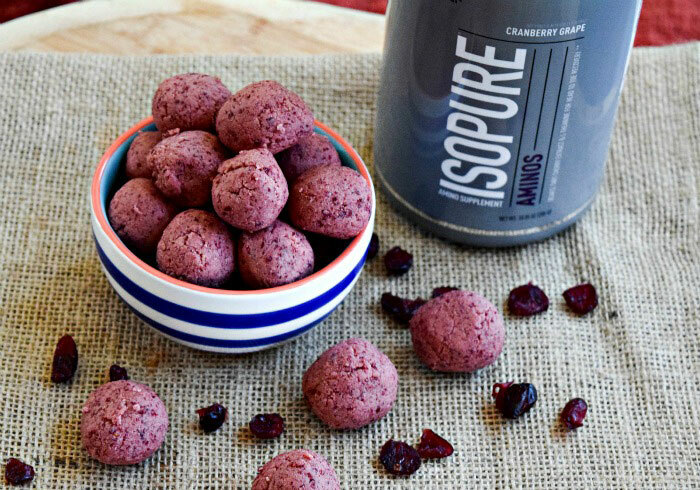 These tangy Cranberry Grape Protein Bites pack quality nutrition for muscle recovery and building.